Useful if you’re trying to disinfect a system. “The VIPRE PC Rescue Program is a command-line utility that will scan and clean an infected computer that is so infected that programs cannot be easily run. 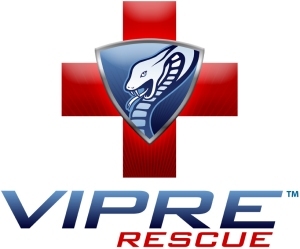 The VIPRE PC Rescue Program is packaged into a self-extracting executable file (.exe) that prompts the user for an “unpack” or installation location, then starts the scanner and performs a quick scan. The user can start the program either by opening it via windows or from the command line. Virus definitions are included, and the program is self-running once executed. The initial scan, and all subsequent scans, include Rootkit Detection. Four command line options are available, enabling the program to perform a boot scan during the next start-up, perform a deep scan, log the events, and disabling the rootkit.